Indian Prime Minister Narendra Modi has vowed his country will go "above and beyond" the 2015 Paris accord on combating climate change. 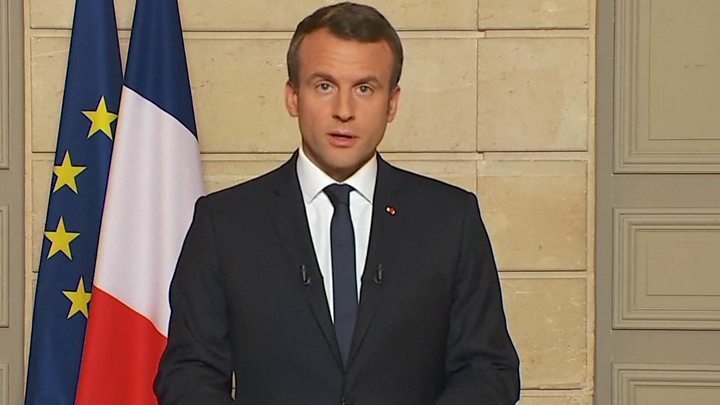 Speaking at a news conference with French President Emmanuel Macron, Mr Modi described the agreement as part of "our duty to protect Mother Earth". 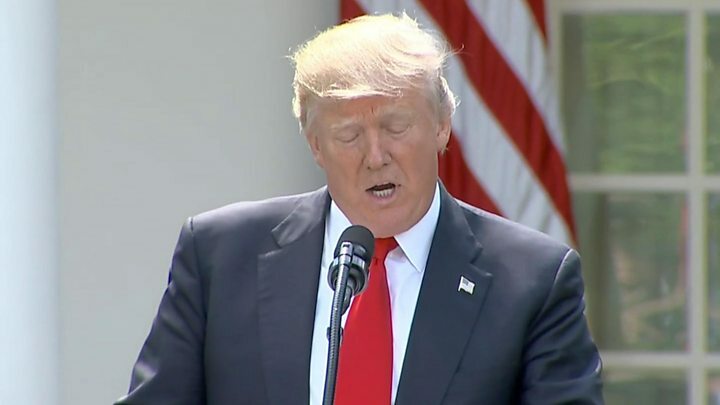 Several global leaders have criticised President Donald Trump's decision to withdraw the US from the Paris accord. Mr Trump said the deal would impoverish the US and cost American jobs. The Paris agreement commits the US and 194 other countries to keeping rising global temperatures "well below" 2C above pre-industrial levels and "endeavour to limit" them even more, to 1.5C. Will US cities take on the climate challenge? China and the European Union have restated their commitment to the agreement, while Mr Macron called Mr Trump's decision a "mistake both for the US and for our planet". 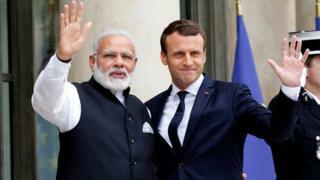 Media captionFrance's President Macron calls on the world to "make our planet great again"
Speaking after a meeting with Mr Macron, Mr Modi said France and India had "worked shoulder to shoulder" on the Paris accord. "The Paris agreement is the common heritage of the world. It is a gift that this generation can give," Mr Modi said. India is the world's fourth-biggest emitter of carbon dioxide, after China, the US and the EU. Why is business so angry at the decision? Will China take over US role? Explaining his decision to withdraw from the deal, Mr Trump said it would cost the US $3tn (£2.3tn) in lost GDP while rival economies like China and India were treated more favourably. However, several US governors and mayors have vowed to respect the terms of the Paris deal despite the US pulling out. Climate change, or global warming, refers to the damaging effect of gases, or emissions, released from industry, transportation, agriculture and other areas into the atmosphere. The Paris accord is meant to limit the global rise in temperature attributed to emissions. Only Syria and Nicaragua did not sign up. Nasa's Goddard Institute for Space Studies says the world's average temperature has risen by about 0.8C since 1880, two-thirds of that since 1975. US think tank Climate Interactive predicts that if all nations fully achieve their Paris pledges, the average global surface temperature rise by 2100 will be 3.3C, or 3.6C without the US. What is in the Paris climate deal?